Dona Chai’s brewing process begins with whole spices that are ground fresh for each batch to maximize flavor, depth, and purity. Every cup has notes of each flavor: cinnamon, cardamom, cloves, black peppercorns, cold-pressed ginger, and organic, loose-leaf black tea. The slow brewing process creates a powerful balance of flavors. Steeped in small batches, they ensure consistency and quality. 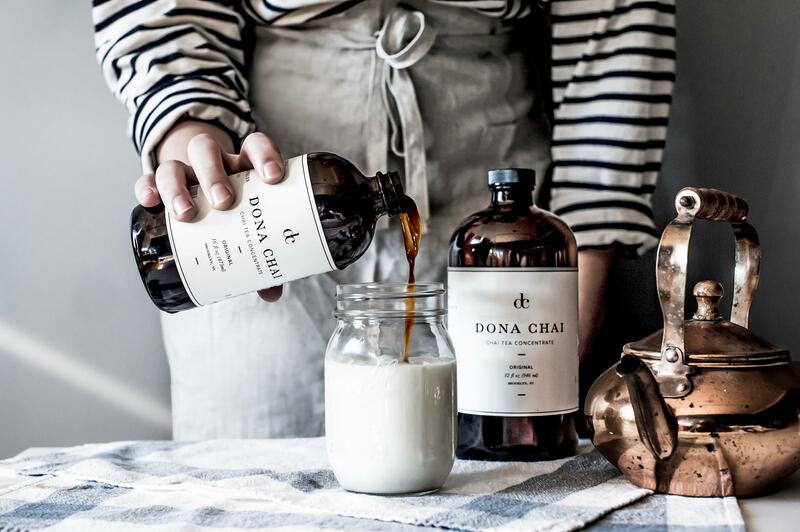 Dona Chai values sustainability. After each batch of chai is brewed, all of the ingredients are composted locally.